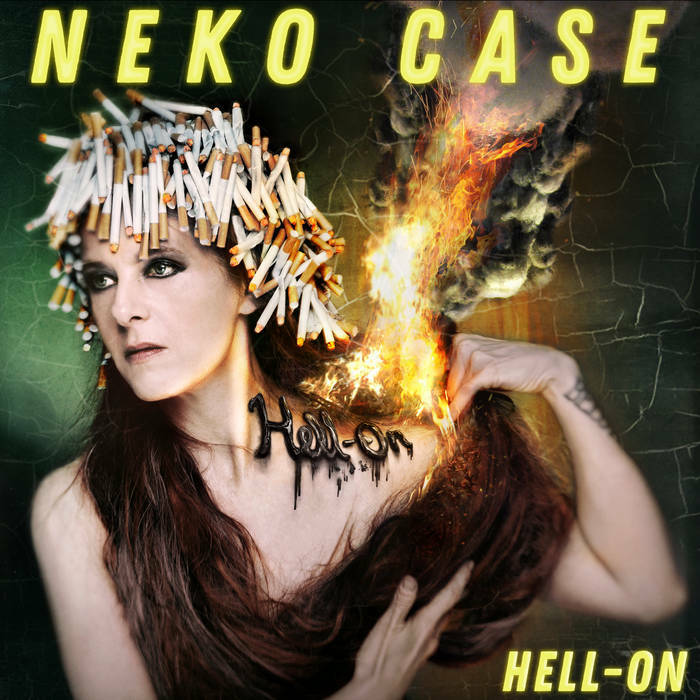 Neko Case will be releasing her new album Hell-On through Anti- on June 1st. Thus far the singles released, 'Hell-On' and 'Bad Luck', have cohered with Hell-On's title and cover; Neko facing up to the harsh realities of life and powering her way through them with grace and determination. For the third pre-release single from the album, 'Curse of the I-5 Corridor' she has taken on a more stoic and storytelling guise - and teamed up with Mark Lanegan to bring it to life. Over the course of 7-minutes of patiently built tension, you can see Case running away from home, driving off down a long and lonely road, head swimming with thoughts about what she's leaving behind, and the bleak places she's heading. Coupled with Lanegan's growl and a delightfully dramatic piano progression, 'Curse of the I-5 Corridor' finds Case telling one of her most instantly memorable tales of trouble to date, with classic lines like "in the current of your life I was an eyelash in the shipping lane." Immerse yourself below.